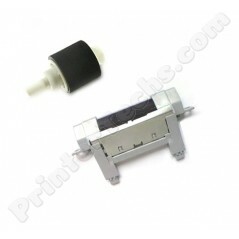 This roller kit is intended for Tray 3 (the optional 500-sheet cassette feeder) on HP LaserJet P2035 and P2055 and M401 and M425 series printers. Includes pickup roller and separation pad. New, genuine HP parts.